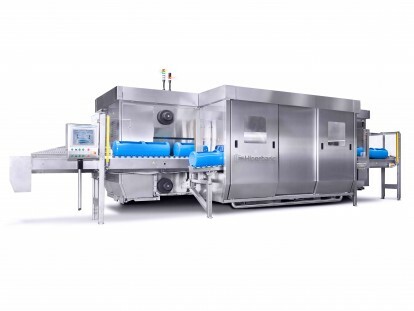 Hiperbaric has designed, manufactured and sold HPP equipment for over a decade and has become the reference in this advanced technique within the food industry. Reliability is the only strategy, the key, the vertebral spine for the company. Horizontal design of the chamber. Productivity with the best energy efficiency. Designed for food industries, considering special needs in aspects like: cleaning, maintenance, ergonomy, etc. The world’s best seller for SME’s, the benchmark in entry-level HPP equipment. 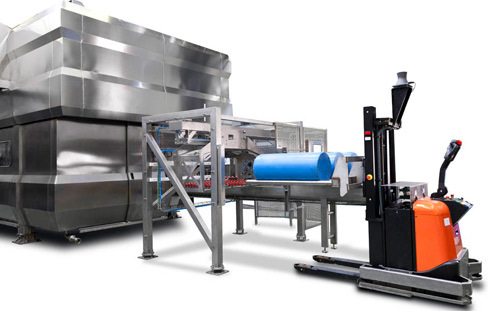 The best HPP equipment for medium production environments. The classic. 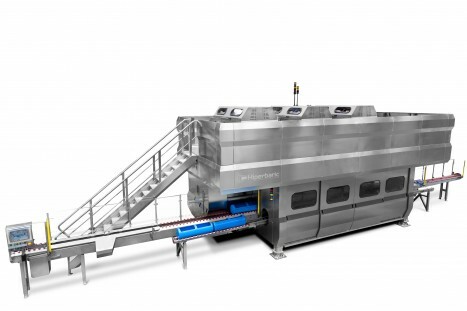 The benchmark and pioneer in large production, horizontal HPP systems. Our best selling HPP system in the world. Reference in design and output. Hiperbaric 1050 Bulk is a global innovation for large productions of HPP beverages. Count on our expertise and know-how in implementing specific solutions for the integration and automation of complete HPP lines. Our range, the widest in the World, is comprised of a range of vessel sizes in order to respond to the various requirements of our customers; from small companies with niche markets to the biggest production of international groups. Maintenance tasks have also been deeply studied, and have been simplified and minimized, adapting them to the special needs of food industries. 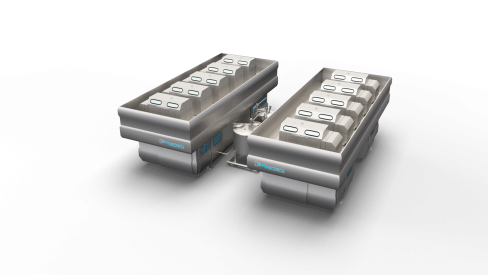 The Hiperbaric range allows High Pressure Processing of food up to a maximum pressure of 600 MPa / 87.000 psi in a range of temperature from +5ºC up to +25ºC (+41ºF up to +77ºF). For experimental purposes, Hiperbaric built in 2009 a Hiperbaric 55HT, a unique piece of equipment enables to combine pressure (630 MPa working pressure) and temperature (5-90ºC), currently installed in AZTI. One or more fully independent high pressure intensifiers, depending on the size of the equipment. 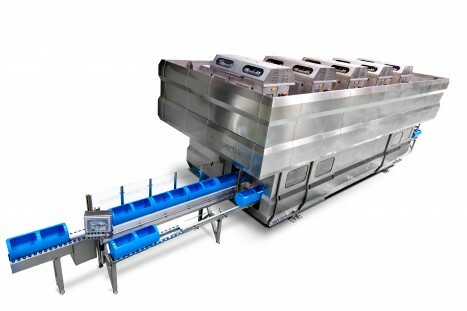 Automated loading & unloading conveyor. Tactile screen for operation in automatic and manual mode. Internet connection for remote maintenance. 2 pressure transducers with auto-verification checking system.